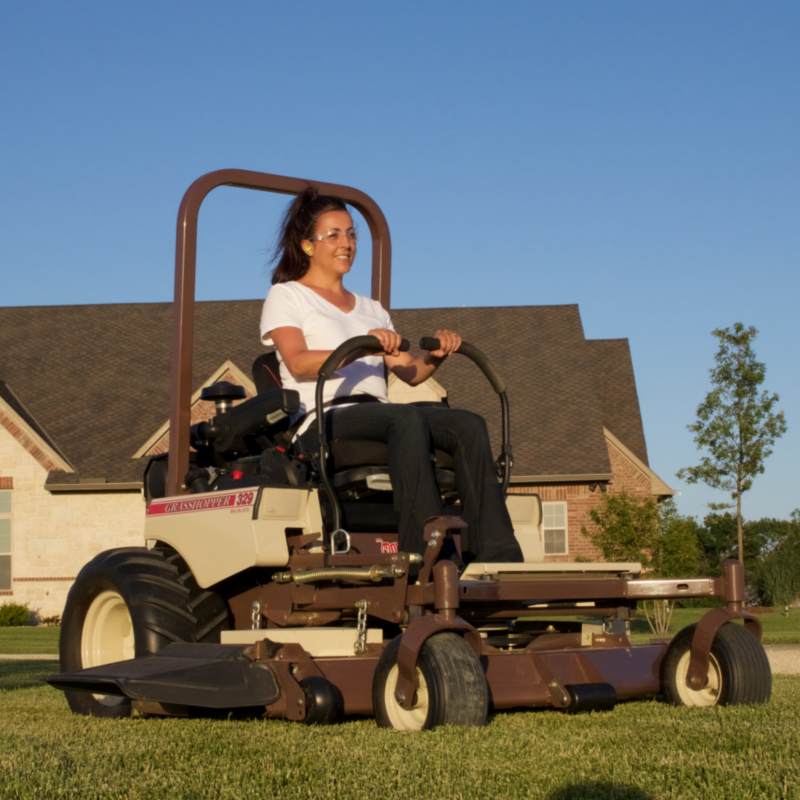 Offering intense mowing power in a compact mid-mount mower design, the Grasshopper Model 329B zero-turn lawn mower offers powerful, efficient and economical performance to both residential owners and commercial landscapers alike. 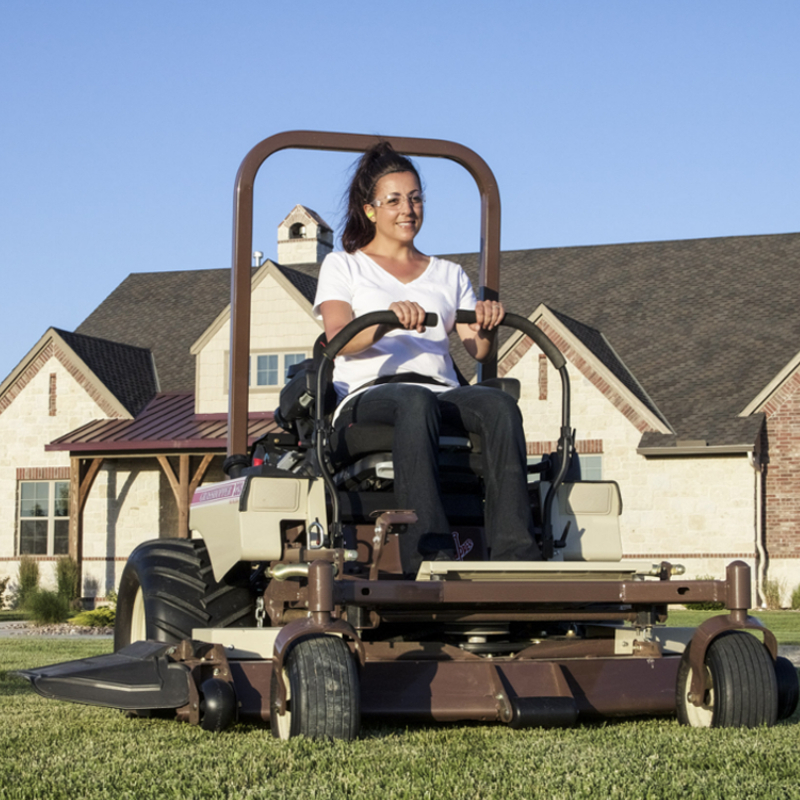 The Model 329B is durable and easy to maintain with fewer service points. Console-mounted Instruments Low engine oil pressure and parking brake warning lights, combination electronic fuel gauge/hour meter, ignition and push/pull PTO switches. Choke integrated with throttle lever. Low engine oil pressure and parking brake warning lights, combination electronic fuel gauge/hour meter, ignition and push/pull PTO switches. Choke integrated with throttle lever. Low engine oil pressure and parking brake warning lights, combination electronic fuel gauge/hour meter, ignition and push/pull PTO switches. Choke integrated with throttle lever. 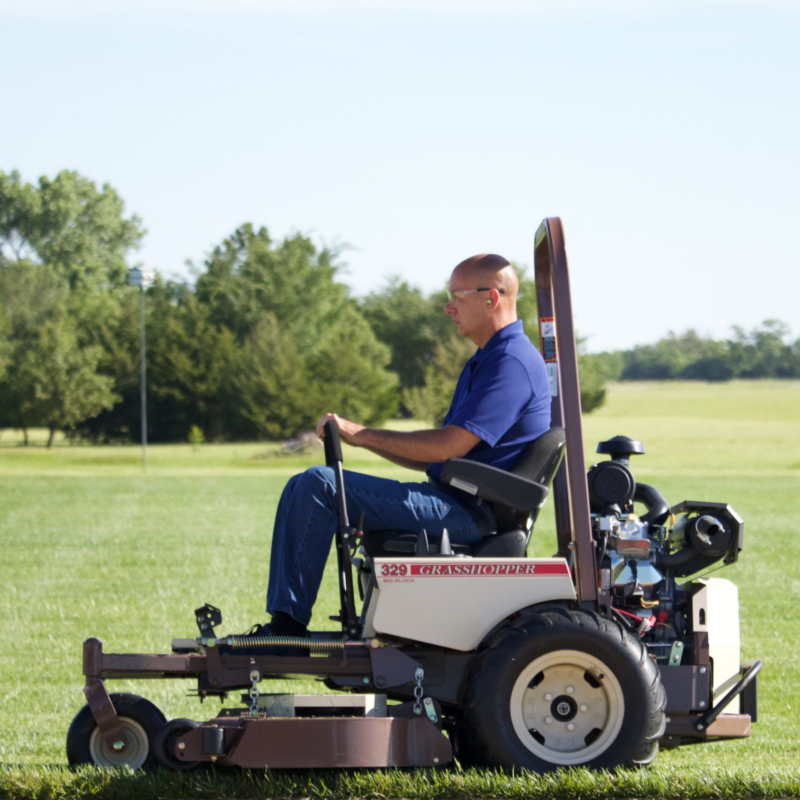 Steering One- or two-hand operation with adjustable Hydra-Smooth™ dual levers that automatically return to neutral from either forward or reverse position. One- or two-hand operation with adjustable Hydra-Smooth™ dual levers that automatically return to neutral from either forward or reverse position. One- or two-hand operation with adjustable Hydra-Smooth™ dual levers that automatically return to neutral from either forward or reverse position.